Home / Sleep Experts / Liat Tikotzky, Ph.D.
Dr. Liat Tikotzky is an Associate Professor at the Department of Psychology, Ben-Gurion University of the Negev, in Israel. She was a visiting researcher at the department of Psychiatry and Behavioral Sciences at Stanford university from 2008 to 2010. Dr. Tikotzky is a licensed clinical psychologist, with specific training and expertise in infant, child, and parent sleep. Her research focuses generally on the relationships between parenting and sleep. Dr. Tikotzky’s research has focused on the longitudinal relationships between sleep-related cognitions in parents and the development of infant sleep patterns, as well as on the role of fathers’ involvement in caregiving and infant sleep development. 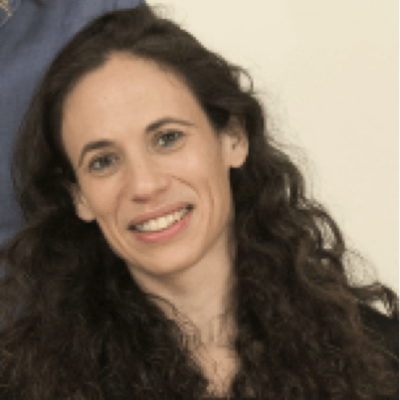 Currently, Dr. Tikotzky is the principal investigator of several longitudinal studies funded by the Israel Science Foundation examining the links between maternal emotional distress and infant sleep development. She is also conducting studies investigating links between maternal sleep disturbances and the mother-infant relationship. Finally, she has been involved in studies investigating the links between maternal sleep, depression, and mother-infant bonding in women at risk for depression. Sadeh A, Juda-Hanael M, Livne-Karp E, Kahn M, Tikotzky L, Anders TF, Calkins S, Sivan Y. (2016). Low parental tolerance for infant crying: an underlying factor in infant sleep problems? Journal of Sleep Research, 25, 501-507. Tikotzky, L. (2016). Postpartum maternal sleep, maternal depressive symptoms and self-perceived mother–infant emotional relationship, Behavioral Sleep Medicine, 14:1, 5-22. Volkovich, E., Zion, H.B., Karny, D., Meiri, G. and Tikotzky, L. (2015). Sleep patterns of co-sleeping and solitary sleeping infants and mothers: a longitudinal study, Sleep Medicine, 16, 1305-1312. Volkovich, E., Tikotzky, L. and Manber, R. (2016). Objective and subjective sleep during pregnancy: links with depressive and anxiety symptoms. Archives of Women’s Mental Health, 1, 173-181. Tikotzky, L., Sadeh, A., Volkovich, E., Manber, R., Meiri, G., & Shahar, G. (2015). Infant sleep development from 3 to 6 months postpartum: Links with maternal sleep and paternal involvement. “Monographs of the Society for Research in Child Development (SRCD), 80, 107-124. Sadeh, A., De Marcas, G., Guri, Y., Berger, A., Tikotzky, L., & Bar-Haim, Y. (2015). Infant sleep predicts attention and behavior regulation at 3-4 years of age. Developmental Neuropsychology, 40, 122–137. Sadeh, A., Tikotzky, L., & Kahn, M. (2014). Sleep in infancy and childhood: implications for emotional and behavioral difficulties in adolescence and beyond. Current Opinion in Psychiatry, 27:453–459. Tikotzky, L., Chambers, A.S., Kent, J.S., Gaylor,E., & Manber, R. (2012). Postpartum maternal sleep and mothers’ perceptions of their relationship with the infant among women at risk for depression, International Journal of behavioral Development, 36, 440-448. Sinai, D., & Tikotzky, L. (2012). Infant sleep, parental sleep and parenting stress in families of mothers on maternity leave and in families of working mothers. Infant Behavior and Development, 35 (2), 179-186. Tikotzky, L. & Shaashua, L. (2012). Infant sleep and early parental sleep-related cognitions predict sleep in pre-school children. Sleep Medicine, 13, 185-192. Tikotzky, L., Sadeh, A., & Glickman-Gavrieli, T. (2011). Infant sleep and paternal involvement in infant caregiving during the first six months of life. Journal of Pediatric Psychology, 36, 36-46. Tikotzky, L., Chambers, A.S., Gaylor,E., & Manber, R. (2010). Maternal sleep and depressive symptoms: Links with infant Negative Affectivity. Infant Behavior and Development, 33, 605-612. Tikotzky, L., & Sadeh, A. (2010). The role of cognitive-behavioral therapy in behavioral childhood insomnia. Sleep Medicine,11, 686-691. Sadeh, A.,Tikotzky, L., & Scher, A. (2010) Parenting and infant sleep. Sleep Medicine Reviews,14, 89-96. Tikotzky, L, Sharabany, R, Hirsch, I, & Sadeh, A. (2010). “Ghosts in the nursery”: Infant sleep and sleep-related cognitions of parents raised under communal sleeping arrangements. Infant Mental Health Journal, 31 (3), 312-334. Tikotzky, L, De Marcas, G, Har-Toov, J, Dollberg, S, Bar-Haim, Y, Sadeh, A. (2010). Sleep and physical growth in infants during the first six months. Journal of Sleep Research,19, 103-110. Tikotzky, L., & Sadeh, A. (2009). Maternal sleep-related cognitions and infant sleep: A longitudinal study from pregnancy through the first year. Child Development, 80 (3),860-874. Sadeh, A., Hen-Gal, S., & Tikotzky, L. (2008). Young Children’s Reactions to War-Related Stress: A Survey and Assessment of an Innovative Intervention. Pediatrics, 121 (1), 1-8. Sadeh, A., Flint-Ofir, E., Tirosh, T & Tikotzky, L. (2007). Infant sleep and parental sleep-related cognitions. Journal of Family Psychology, 21 (1), 74-87. Tikotzky, L. & Sadeh, A. (2001). Sleep patterns and sleep disruptions in kindergarten children. Journal of Clinical Child Psychology, 30, 581-591.